The People’s Committee of the central province of Quang Tri has recently allowed Huong Linh 3 Wind Power JSC to invest in a wind power plant project with total capital of $1.53 trillion ($65.8 million ). The plant, covering 8 ha in Huong Hoa mountainous district’s Huong Linh commune, has nine wind turbins, with capacity of 3.3-3.4MW each. It is expected to begin generating electricity in December 2020. Quang Tri has paid great attention to attracting investment in wind power. In the first quarter of this year, the province granted investment licenses to four other wind power projects. 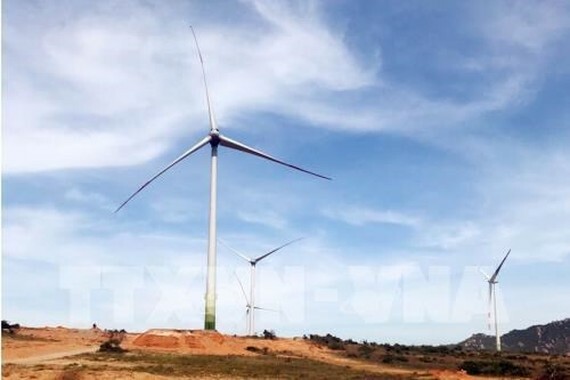 The projects include the construction of the Huong Phung 3 wind power plant in Huong Hoa district, while the Huong Phung wind power limited company plans to build the 30 MW facility on 9 ha of land, with investment exceeding $1.58 trillion ($68.12 million ). Meanwhile, GELEX Quang Tri Energy JSC was permitted to invest nearly VND3.66 trillion ($157.38 million ) into GELEX 1, 2 and 3 wind power plants, with capacity of 30 MW each. 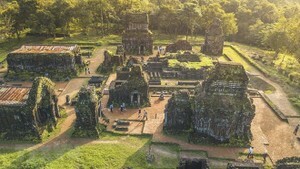 The projects will cover some 24 ha in Huong Hoa and Dakrong districts.